Expedia has some Gagliano del Capo packages ready for you. Combining your lodgings and flights is one of the most straightforward ways to save money on your upcoming trip. Choose from more than 400 partner airlines and 321,000 worldwide properties on our global database of accommodations and flights. Fly with who you want, stay wherever you want — now that's the perfect vacation! 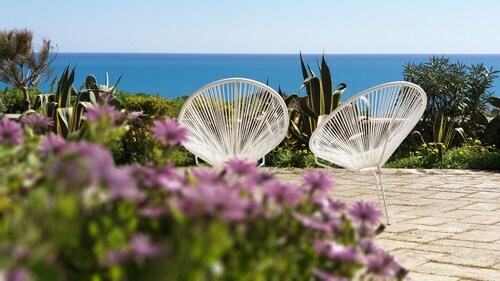 Can't wait for your trip to Gagliano del Capo? Want some suggestions about what to do and see when you arrive? That's what we're here for! History is bursting with incredible stories to be told and major lessons to be learned. Plan an excursion to Heroon Centopietre and better understand the past. Still got some time to spare? Some of the world's most dazzling areas of water are lagoons. Stop by Fiordo del Ciolo and enjoy the splendor of this shallow, sheltered pool. It's no secret that you don't go on a vacation to sit in a small seat on a plane and sleep in a strange bed. Vacations are all about the cool things you can do while you're there! Searching for something most travelers can enjoy? Why not consider buying an Apulian Cooking Class at Palazzo Morisco in Salento? Head to our Gagliano del Capo things to do page for a full list. 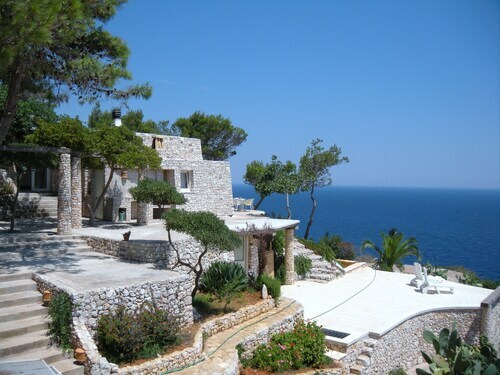 Currently, there are no less than 4 listed properties in Gagliano del Capo. Cheap vacations and luxury getaways are all ready to be snatched up on Expedia — so act now. You'll have the chance to explore the neighborhood from a comfortable base should you choose to stay at the Il Tabacchificio Hotel (Via San Antonio, 33) or the Casa Del Sole (Via Giulio Cesare 49 Localita Salignano). Let's be honest, nobody really enjoys standing around at the airport. However, if you start to imagine the unforgettable trip to Gagliano del Capo that you're about to have, it becomes less arduous. After all, you'll be just 60 miles (97 km) north of the neighborhood center when you land at Papola Casale Airport (BDS). Posto davvero suggestivo, unico, stupendo. Tuttavia due note negative: piscina piccolissima (e ad inizio giugno sporca), nessun cambio di asciugamani in tre giorni (in realta' fatto ma solo dopo ns insistenza). Per il prezzo pagato, bisognerebbe curare meglio i dettagli. Contesto bellissimo. 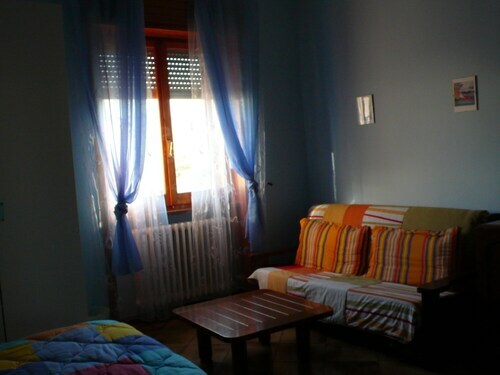 Situated in Gagliano del Capo, this townhouse accommodation is 2 mi (3.2 km) from Canale del Ciolo and 2.2 mi (3.5 km) from Heroon Centopietre. Basilica Santuario Santa Maria De Finibus Terrae and Lighthouse of Santa Maria di Leuca are also within 6 mi (10 km). Gagliano Leuca Station is 18 minutes by foot. 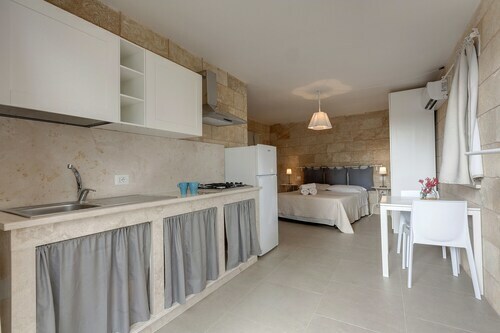 Situated in Gagliano del Capo, this bed & breakfast is 0.6 mi (0.9 km) from Canale del Ciolo and within 6 mi (10 km) of Basilica Santuario Santa Maria De Finibus Terrae and Lighthouse of Santa Maria di Leuca. Heroon Centopietre and Marina di Leuca Port are also within 6 mi (10 km). 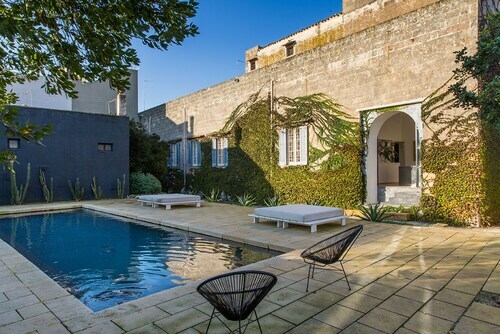 Situated on the boardwalk, this villa is within a 10-minute walk of Basilica Santuario Santa Maria De Finibus Terrae and Lighthouse of Santa Maria di Leuca. Marina di Leuca Port and Santa Maria di Leuca Beach are also within 1 mi (2 km). We stayed there for 3 nights and everything was excellent! Very clean and tidy, everything was available, the house is beautiful, people are very friendly. Great relaxation place, just perfect! Situated in Gagliano del Capo, this apartment building is 1.8 mi (2.9 km) from Canale del Ciolo and 2.4 mi (3.9 km) from Heroon Centopietre. Basilica Santuario Santa Maria De Finibus Terrae and Lighthouse of Santa Maria di Leuca are also within 6 mi (10 km). Gagliano Leuca Station is 22 minutes by foot. 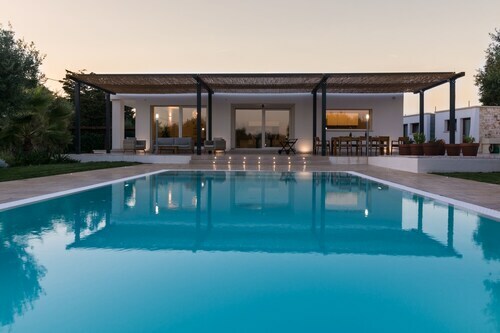 Situated in Gagliano del Capo, this villa is 1.2 mi (2 km) from Canale del Ciolo and 1.9 mi (3.1 km) from Heroon Centopietre. Basilica Santuario Santa Maria De Finibus Terrae and Lighthouse of Santa Maria di Leuca are also within 6 mi (10 km). Gagliano Leuca Station is 16 minutes by foot. Situated in Gagliano del Capo, this apartment building is 1.9 mi (3 km) from Canale del Ciolo and 2.3 mi (3.7 km) from Heroon Centopietre. Don Tonino Bello Birthplace and Chiesa Madre are also within 6 mi (10 km). Gagliano Leuca Station is 17 minutes by foot.